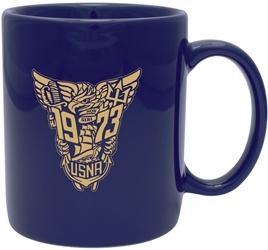 NOTE:There is a limited number of coffee mugs left in inventory. They will be sold on a "First come, first served" basis. It has a structured, low profile front. The back closure is a fabric strip with a buckle. 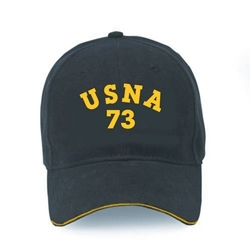 NOTE:There is a limited number of ball hats left in inventory. They will be sold on a "First come, first served" basis. 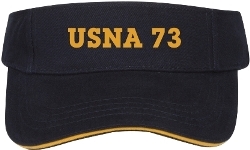 This Class Visor is navy blue with a gold sandwich stripe. The back closure is a one touch strap (Velcro). NOTE:There is a limited number of visors left in inventory. They will be sold on a "First come, first served" basis.